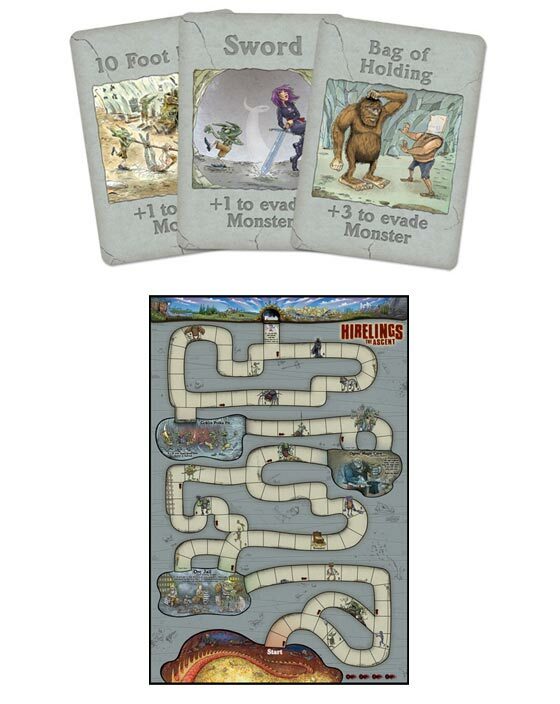 Hirelings: The Ascent is the Family Game for the Gamer Family. You followed the heroes in and they failed. Now you are left to your own resources and must escape before the Dragon's Fireball turns you into a hireling kabob. Be the first one out and you win. The game is designed to foster and grow decision making skills while giving the whole family some fun, with good old-fashioned gamer humor. The game is a shoots and laddrers type. There is a lot of rolling for luck. There is some strategy. Overall this game is fun for the kids and family. The artwork is sweet and classic. The game could be better if you could change the fixed board. It reminds me of a classic game you would find back in the 80’s. I played this with my three year old and he liked rolling the dice and the artwork. I would have added mini figures to the game. Make it more three d. Overall I give this a 6.8 out of 10. 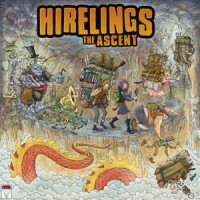 Add a Review for "Hirelings: The Ascent"